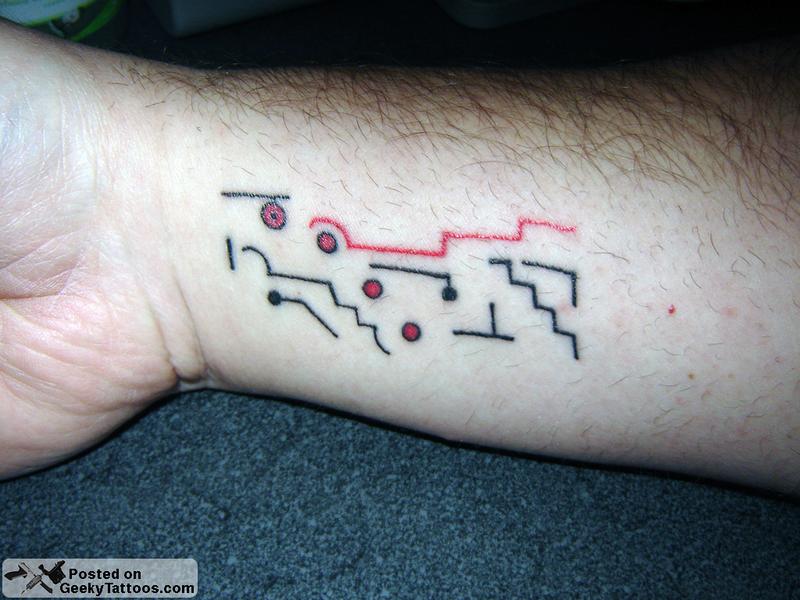 This tattoo is probably only geeky if you’re really into music, and more specifically ambient music. The tattoo is from Brian Eno‘s album “Music for Airports”. 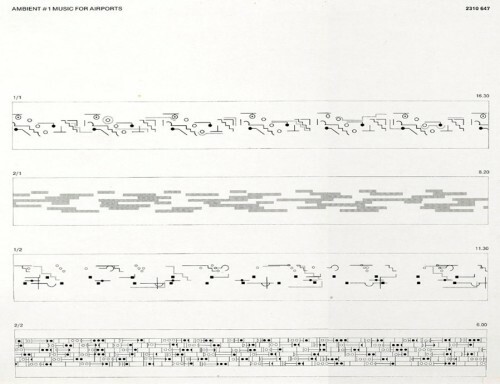 It’s the graphical music notation for the first track on the album. The owner is Jim “htmldeity” Dlugosinski and he wanted to both have a bit of art as well as a good conversation starter. He says that he’s had a number of conversations with total strangers inquiring what the odd symbols are on his inner wrist. Tattoo was done by Gavin Bowe of In Your Face Tattooz. Speaking of Brian Eno, you should really go check out the Long Now Foundation, where Eno is a member of the Board of Directors and is responsible for the name. I’m slightly biased though as I’m a Charter Member. 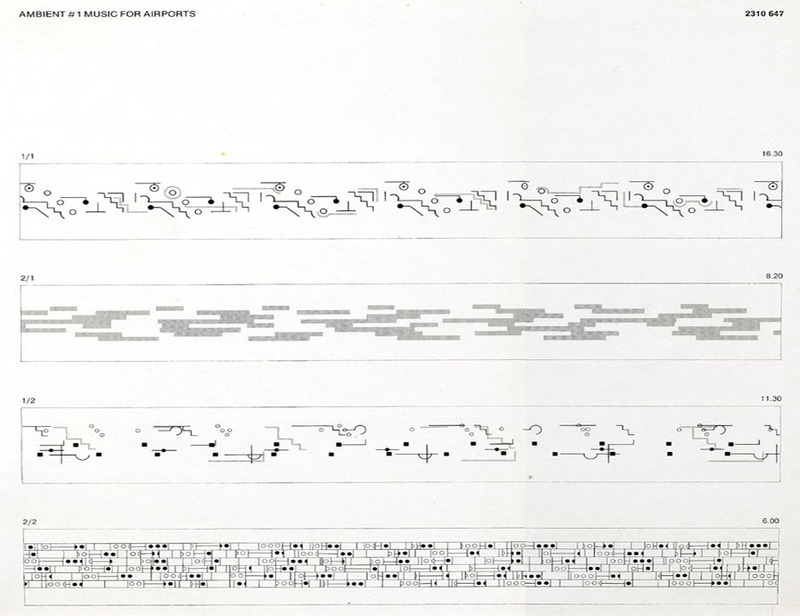 Tagged with Brian Eno, Gavin Bowe, In Your Face Tattooz, musical notation, wrist. i saw this sheet music and thought I would get it as a tattoo and thought I was being novel. Then I saw this.